So, The 2017 Golden Globe Awards were last night. Overall, it was a decent show, I enjoyed it. Usually I like to sit & record a YouTube fashion review but this year for the Golden Globes I am on YouTube hiatus until January 20th. Last night I was deciding if I just wanted to pick the camera up to record but over the weekend I got sick & i'm still not feeling well, so I just decided to go with my first instinct and do a blog post. I will countdown the top 10 looks of the night, from worst to the best. 10. 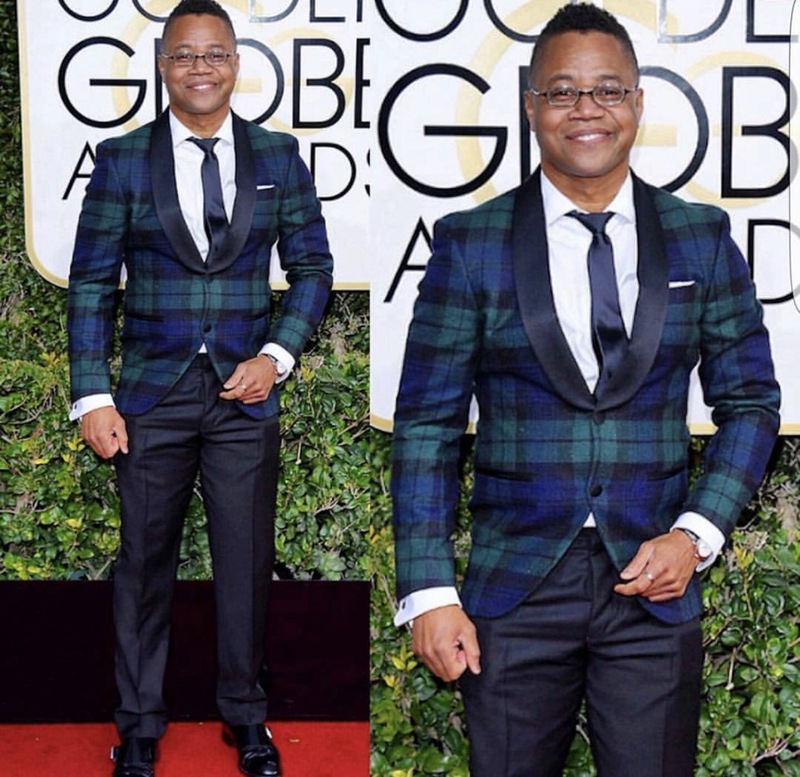 Cuba Gooding Jr. in Dsquared. Cuba gets the worst dressed from me because he just looks uncomfortable and his suit is too tight for him. When I saw him live on the award show last night I was like "ohhh he looks nice, that blazer is cute!" But it was only half the look. When I finally saw the whole look, it was just a mess. You can tell the blazer is too tight, he can't put his hand down & if he bent over to pick something up, everything would just rip. The pants are also not tailored right and he could've worn better shoes. Kerry Kerry Kerry... What can I say? She just always does wrong! The makeup is beautiful & I love the hair but this outfit and those shoes are just horrible. I'm sorry, I really like Kerry but this was a miss for me. This look doesn't flatter her, the shoes doesn't go with the look. I wish the gown was longer. The first thing that came to mind when I saw this was a big fat NO! I hope she does better at the Oscars. Sarah definitely disappointed me last night, she looked like she was the evil step-mother from Cinderella going to the ball. I wasn't feeling this look, it looked a bit too oversized and she wasn't posing right in any of the angles I saw. This gown was also reminiscent of the Oscar de la Renta gown she wore at the 2014 Met Gala(a gown I actually liked!). 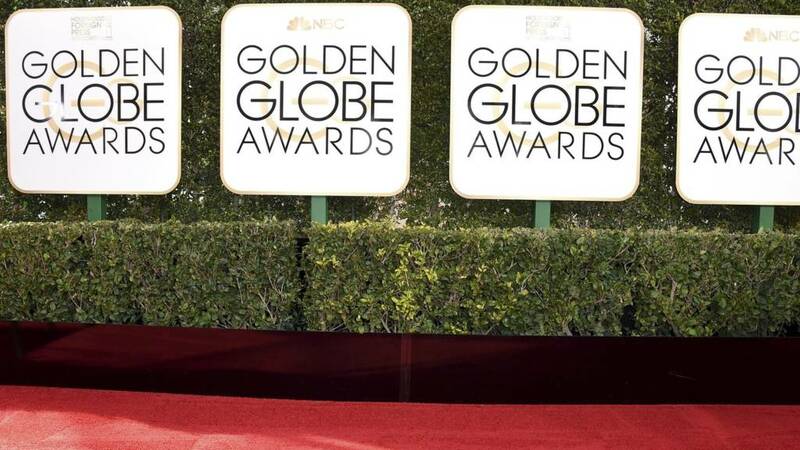 But this Golden Globe look was way worse. Her hair was even similar. 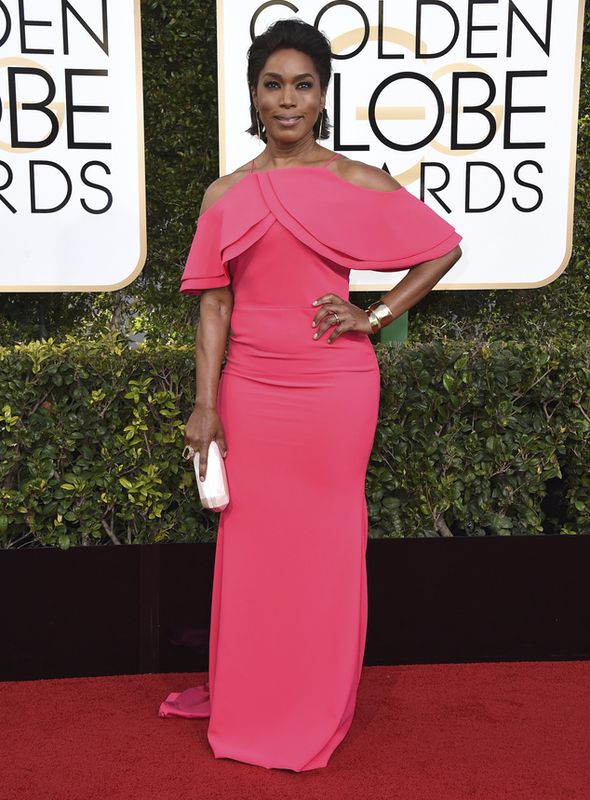 I love this color on Angela, she looked beautiful as usual. The dress wasn't my favorite of what she has worn on previous red carpets but it wasn't horrible. I am in the middle with this look. Her body looks amazing and her & her husband Courtney just look great together! Janelle always sticks to her black & white uniform, she has made black & white such a prominent statement since she came on the scene & I love it! This gown was very old school(which is her style) with a touch of new school with the high-low design. She looked very appropriate for the award show and I thought it was a cute look. I just think this woman is so beautiful, I am always blinded by her face & then I pay attention to what she is wearing later LOL. The gown definitely looks better on TV when she was presenting than it does in a picture, and that's what I hate about certain gowns. Nonetheless, she looked great, the gold compliments her skin and the burgundy lip was perf! The one thing I would change would have to be the necklace, that was an unnecessary piece. I loved Kristen's entire look! The hair and makeup was beautiful, loved the amount of accessories that were apart of this look. The plunging neckline was beautiful, the sequin detail, the lapel and the waist band were just everything for this look. I think this is one of the best looks she has ever worn. There were so many ladies in Versace last night, Naomi and one of our coming ladies did it the best! Naomi looked so beautiful, it's very hard for her to disappoint. When she strutted out last night to present I gagged at my TV how great she looked in this asymmetrical, one sided ensemble. Blake was another lady in Versace last night. She looked amazing in this black & gold number. I loved the plunging neckline with the gold top and a lot of people didn't like the pockets but I like them! And the gold & emerald green bracelets on each side were a perfect touch, I loved the train on the gown & the suede material was beautiful. Of course, I have to talk about the hair, loved the high bun and the makeup was minimal, which was perf! *Meryl Streep won the Cecil B. DeMille Award, which was well deserved. Meryl is ICONIC! And her speech was amazing. She touched on so many issues of our country & the media and she didn't make the speech about her, which I loved, it was used to bring awareness. *Viola Davis won best supporting actress in a motion picture. 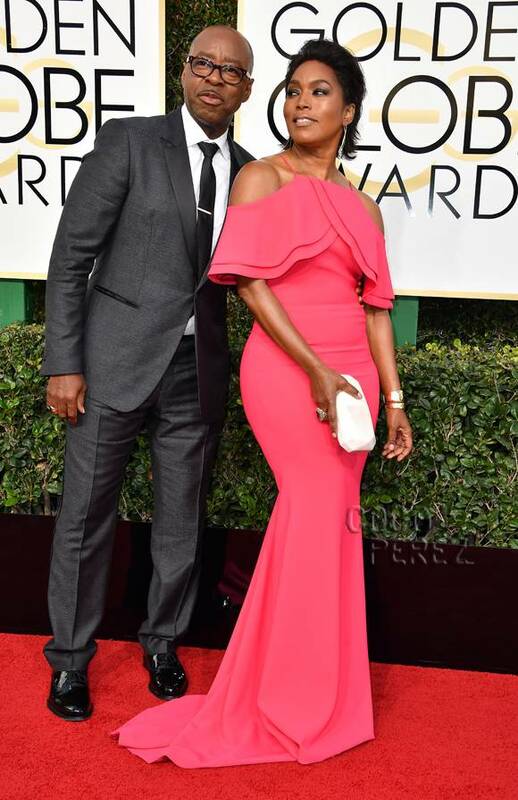 Fences was a great movie and she did such an amazing job, well deserved. *Donald Glover and the cast of Atlanta both won an award last night. I've never watched the show but I've heard great things, so I will definitely want to go back & watch all of the episodes. *Congrats to everyone who won last night & congrats to the nominees, because it is an honor to be recognized and nominated.